Three memberships with one truly remarkable thing in common... each comes with a collection of very rare highly allocated wines and/or champagne valued GREATER than the cost of membership. Plus, throughout the year, all Capt. 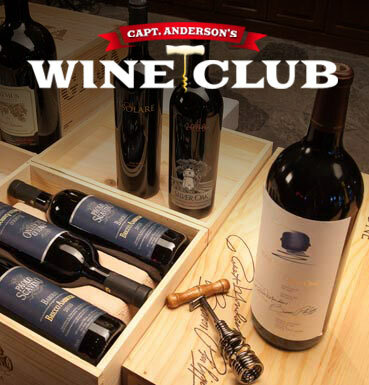 Anderson's Wine Club members save 20% or more on wine and champagne purchases and have all insider options on rare wines as they become available. • 20% discount on all Champagne and Wine bottle purchases while dining in the restaurant. 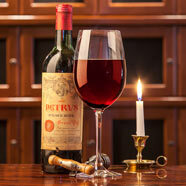 • Members will receive highly allocated and rare wines and/or Champagnes as selected by Capt. Anderson's of greater value than membership cost. • Special invites to wine dinners. • $500 Annual Membership Fee. • Special email offers when Capt. Anderson's bulk cellar buys of exceptional wines and champagnes make valuable deals possible. Wines purchased will be held in the Capt. Anderson's cellar and served to your table at your discretion. • $1,000 Annual Membership Fee. • Upon membership activation, we will tailor your wine package with over $1,200 worth of beautiful, highly rated wines (typically 95+ rated by Wine Spectator), based upon your wine style preferences (whites, reds, Champagne or all of the above). • Members will receive one of only 48 private, personalized wine lockers on display in the Flying Fish Lounge. Each locker will be stocked with your personal inventory of exceptional wines. 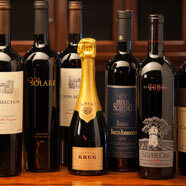 • Members will receive highly allocated and rare wines and/or Champagnes as selected by Capt. Anderson’s of greater value than membership cost. • Special email offers when Capt. Anderson's bulk cellar buys of exceptional wines and champagnes make valuable deals possible. Wines purchased will be stored in your locker. • Wine lockers will be limited to first 48. Original 48 members will have 1st right of renewal. • Special: For an additional $2,000, a bottle of Louis XIII will be added to your membership. $3,000 retail value! Select this option when choosing membership level during application process. • Private Reserve limited to 48 Members.